Mithali Dorai Raj is an Indian cricketer and the captain of the Indian Women's cricket team in Tests and ODI. Often regarded as one of the greatest cricketing batters to have ever played the game, she is the highest run-scorer in women's international cricket and the only female cricketer to surpass the 6,000 run mark in ODIs. She is the first player to score 7 consecutive 50s in ODIs. Raj is the first captain (men or women) to lead India to an ICC ODI World Cup final twice – 2005 and 2017. Mithali Raj was born on 3 December, 1982 in Jodhpur. Mithali's mother tongue is Tamil. Her father is Dorai Raj, who was an Airman in the Indian Air Force, and mother is Leela Raj. 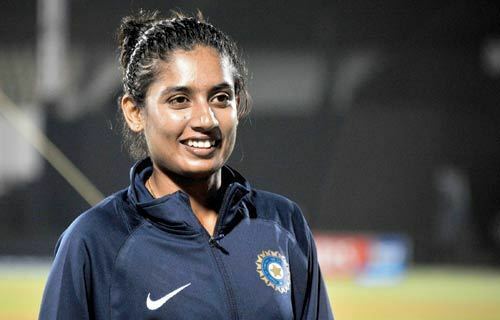 Mithali started to play the game at the age of 10 and at the age of 17, she was picked for the Indian team. She lives in Hyderabad, Telangana. She attended Keyes High School for Girls in Secunderabad. After this she attended Kasturba Gandhi Junior College for Women in West Marredpally (Secunderabad) for her intermediate studies. She started cricket coaching in her school days along with her elder brother. 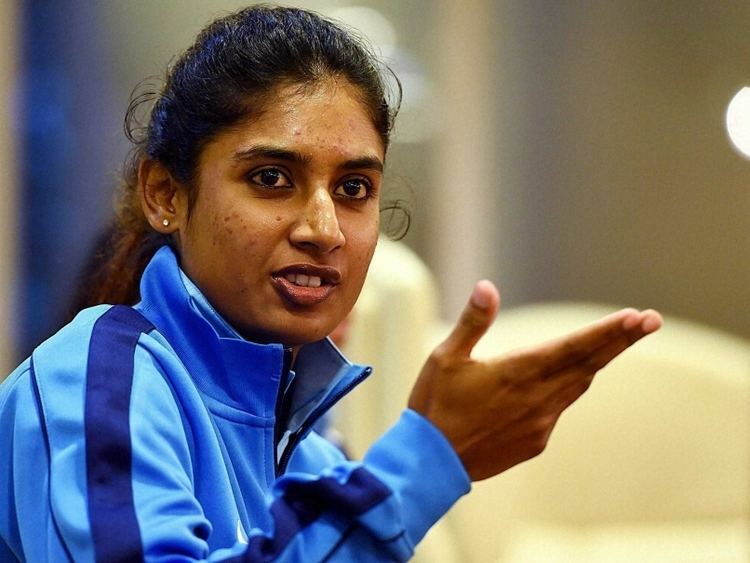 Mithali practised at school, often playing with male cricketers in the nets. Raj has played both Test and One Day International cricket for India's women's cricket team. She was named among the probables in the 1997 Women's Cricket World Cup when she was just 14, but couldn't make it to the final squad. She made her One Day International debut in 1999 against Ireland at Milton Keynes and scored unbeaten 114 runs. She made her Test debut in the 2001–02 season against South Africa at Lucknow. On 17 August 2002, at the age of 19, in her third Test, she broke Karen Rolton's record of world’s highest individual Test score of 209*, scoring a new high of 214 against England in the second and final Test at County Ground, Taunton. The record has since been surpassed by Kiran Baluch of Pakistan who scored 242 against West Indies in March 2004. Mithali was taken ill with a strain of typhoid during the CricInfo Women's World Cup in 2002, seriously hampering India's progress. However, she then led them to their first World Cup final in 2005, in South Africa, where they met Australia who proved just too strong. In August 2006, she led the side to their first ever Test and Series victory in England and wrapped up the year winning the Asia Cup – the second time in 12 months – without dropping a single game. She led the Indian team to the finals in the 2005 Women's Cricket World Cup where the team lost to Australia. She is a part-time leg-break bowler as well. She is a recipient of the Arjuna award for the year 2003. She currently tops the batting table with 703 ratings. Her composure when at the crease and ability to score briskly make her a dangerous cricketer. In addition to her ability with the bat, Mithali rolls her arm over bowling leg-spinners and providing variety to the attack. At the 2013 Women's World Cup, Mithali Raj was the No.1 Cricketer in the ODI chart among women. She scored 100s: 1 and 50s: 4 in Test cricket, 100s: 5 and 50s: 40 with best bowling of 3/4 in ODI's and 50s: 10 in T20's. in February 2017, she became the second player to make 5,500 runs in WODIs. Raj most matches captained player for India in ODI and T20I. In July 2017, she became the first player to make 6,000 runs in WODIs. She led the Indian team to the final of the 2017 Women's Cricket World Cup where the team lost to England by nine runs. Raj also led India in ICC champions trophy in 2017 and weren runners up in that tournament. Also Raj was gifted a BMW car. Playing for Railways in the domestic competition, Mithali began by playing with stars like Purnima Rau, Anjum Chopra and Anju Jain for Air India. 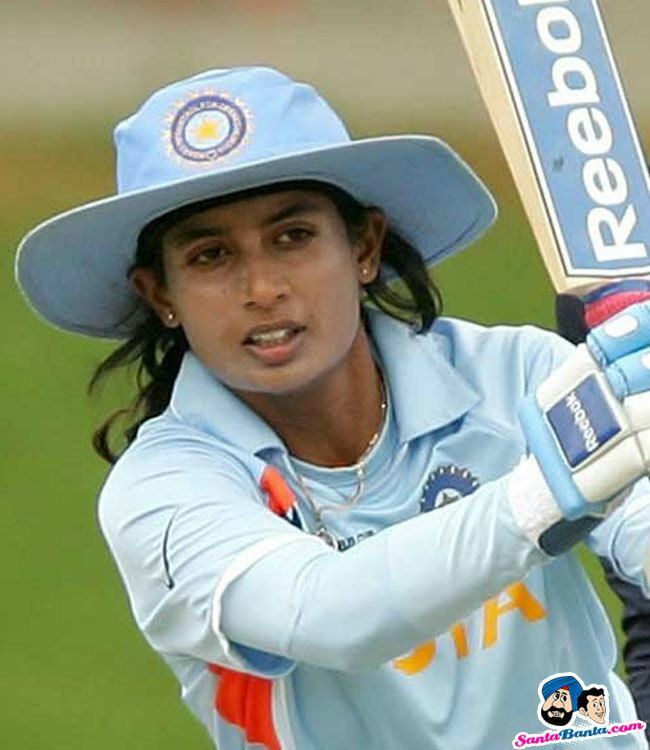 Mithali Raj held the record for the highest individual score by an Indian Woman Cricketer in a World Cup match (91 not out off 104 deliveries which included 9 fours) against New Zealand in Women's World Cup 2005. Harmanpreet Kaur overtook Mithali Raj by scoring a century (107 from 109 balls) in second match of ICC Women's World Cup 2013 against England. 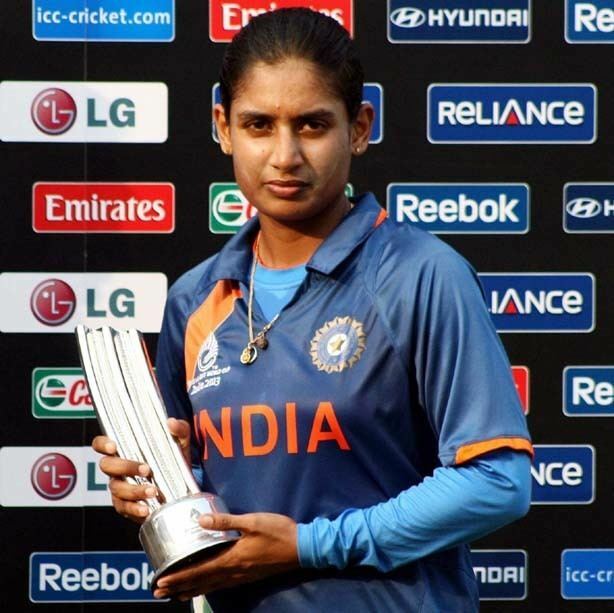 Mithali is nicknamed "Tendulkar of Indian women's cricket", as she is currently the all-time leading run-scorer for India in all formats, including Tests, ODIs and T20Is. During the 2017 Women's Cricket World Cup, Raj scored her seventh consecutive half-century and made a record for most consecutive fifties by a player. Mithali Raj also is the 1st Indian & 5th woman cricketer overall to score over 1,000 World Cup runs. She also holds the record for playing the most consecutive Women's One Day Internationals for a team (109). 2003 – Arjuna Award, by the Government of India in recognition of her achievement in sports. 2015 – Padma Shri, India's fourth highest civilian award.